Arle Lab of Beth Israel Deaconess Medical Center, a teaching hospital of Harvard Medical School, studies one of the fastest-growing fields in medicine, neuromodulation. Our team models the effects of electromagnetic fields on the nervous system to treat neurological disorders including epilepsy, chronic back pain, and Parkinson’s disease. We provide biomedical modeling and finite element analysis for leading medical device companies. We use COMSOL Multiphysics® simulation software to create finite element models that apply electromagnetic fields to biological tissues. These simulation models use new CAD techniques, are less expensive than those created with external CAD programs and run finer meshes, broader parameter sweeps, and longer time-domain studies. The new Application Builder in COMSOL Multiphysics allows a COMSOL finite element model to live on a secure website that clients can manipulate themselves. The Application Builder facilitates closer collaboration between client and consultants and more rapid investigation and product development. 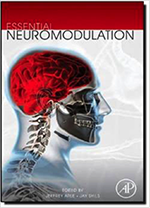 With these tools, our lab is able to perform innovative work in the neuromodulation field. 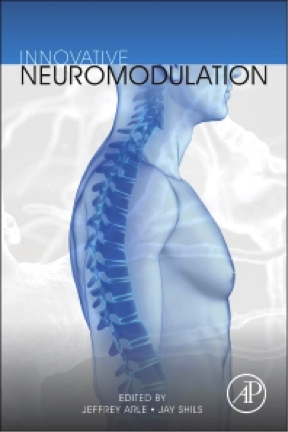 For instance, we are currently performing work for medical device companies that will revolutionize a 20-year trend in neuromodulation electrode arrays. 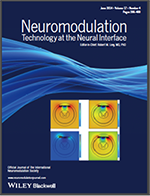 Our work has been written about in the leading journal in our field, Neuromodulation, which featured our COMSOL finite element modeling in two of its cover articles. We have also been featured on the COMSOL Blog and as a COMSOL user story. Please contact Kris Carlson to learn more. 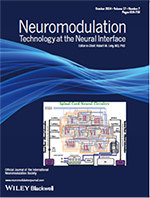 Neuromodulation covers copyright © 2015 John Wiley & Sons, Inc. All Rights Reserved.